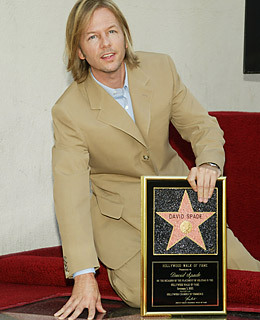 It's not that we don't like David Spade. We do ... sort of. But if a stint on SNL, a few B- and C-grade comedy movies and a role on a mediocre sitcom earn you a Walk of Fame star, well, then, why doesn't Chris Elliott have one? Or Tim Meadows? When it comes to screwball comedies, Tommy Boy is a quality film. But let's be honest: most of the movie's charm comes from Chris Farley. Does Hollywood really feel the need to honor the man who starred in the movie Joe Dirt? See the top 10 postSaturday Night Live careers.